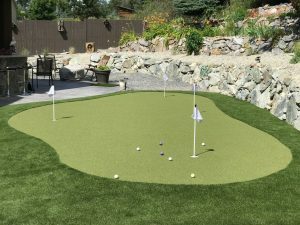 Synthetic turf a welcome addition to trade show booths in Vancouver. Many exhibitors have chosen to go this route to add a pop of colour to their booth. 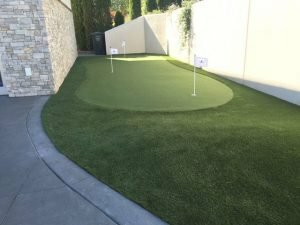 We have synthetic turf designed to withstand this large amount of traffic in a short period of time. Generally, we guide clients towards the shorter pile height as they are much more durable and will show less wear over time. 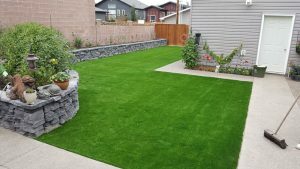 A long, lush, natural looking turf is always an option as well, especially if you know you only need to use the turf at the occasional trade show. 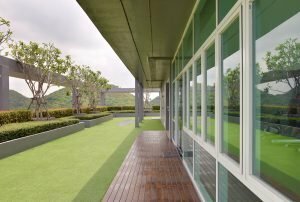 Many people like the option of a vibrant green flooring option, that stays looking pristine event after event even with all the foot traffic we see at shows. 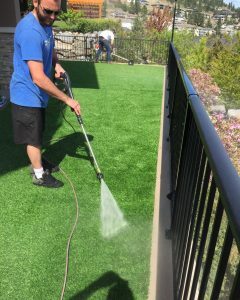 The artificial turf can be reused year over year, or sold to another vendor for their upcoming shows. It’s a versatile option as vendors can still build their standard booth on and around the artificial turf. 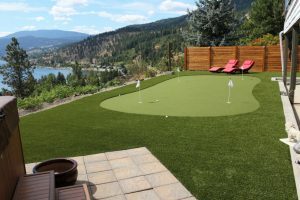 The turf can support chairs, tables, stands, and other typical equipment found at events. Another added benefit is that it is wheelchair accessible, providing open access to all visitors to the booth. It’s a nice option for many businesses to offer as a side sale as well. 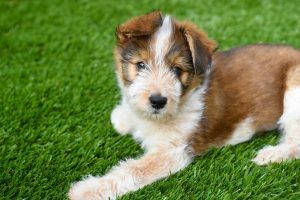 Turf can complement many industries from pet facilities, veterinary clinics, fitness centers, and landscapers. We have sample stands that can be provided to showcase some different options as well. 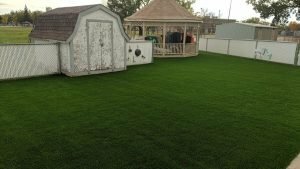 If your business is interested in offering synthetic turf, contact us about the options in your area.